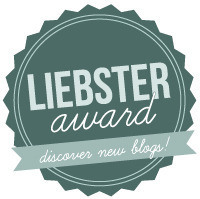 She has a good summary of what Liebster means on her blog along with a lot of other great posts. Check it out. My mom and dad were married over half a century. I’ve been married over a quarter century to my lovely wife. I have 5 kids who make me proud each day. I became a Christian in August 1982. 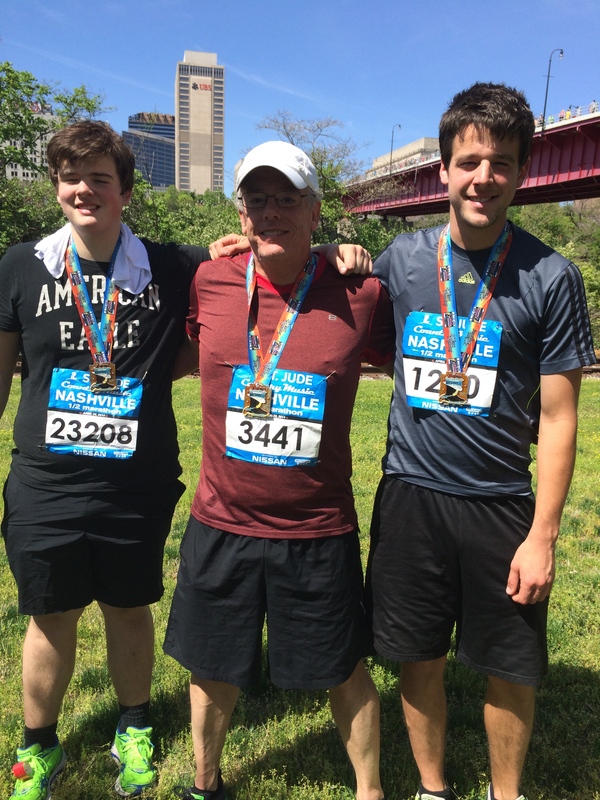 My dad ran marathons from his mid 50’s through his mid 70’s. I have 2 brothers and a sister who passed away almost 10 years ago (who I miss terribly). I am a VP of Information Technology at a non-profit. I’ve had my current job for almost 6 years and I still enjoy it. My lovely wife and I moved 13 times in 11 years, but have lived in the same house now for 10 years. I live in the South, but love the north. What did you do today? Being 3:00 AM, I woke up, read my Bible, drank coffee and wrote this post. It is going to be a long day. What is your favorite movie? The Matrix (movie #1) – Sometimes reality makes more sense to me when looking at it in the context of this movie. What is your biggest dream for the next 5 years? 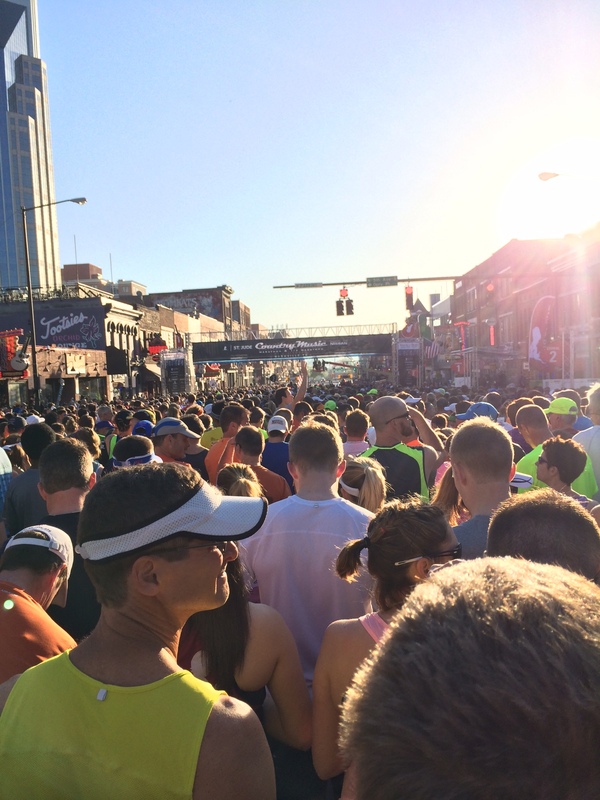 Qualify and compete in the Boston Marathon. If you could snap your fingers and be anywhere right now, where would that be? Right where I am. I love my life and wouldn’t change it for the world. What is the last book you read? Steve Jobs. What keeps you motivated to blog? I love feedback and “likes”, but I mainly blog keep a journal of my “journey” so I can look back and remember where I came from, where I am and where I hope to be one day. Also, hopefully to help and encourage others to run and learn from my successes and failures. Who do you admire most, and why? My lovely wife. Not many people know her like I do. She has always supported me (even in some dumb decisions). She lost 90 lbs, even with a bad back and little exercise. Everyday I go running, she says, “Run fast and don’t get hurt”. I can go on and on. She is truly a grand old flag (inside complement). What did you want to be when you were a kid? A dog. Yeah, I didn’t aspire to much. I looked at my dog and she just got to lay around, play outside, eat and sleep. I thought, what a great life. I’m glad I grew up and got motivation to experience life. What is your favorite kind of run? 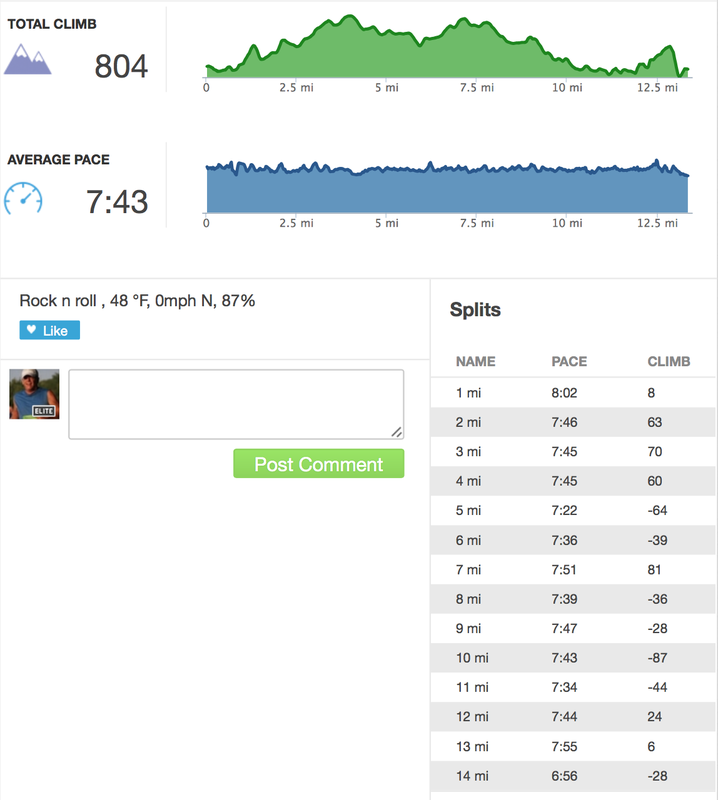 Any run ( or race ) where I set a personal record. That is the best feeling in the world. What is your biggest pet peeve? People chewing in my ear. Either in person or on the phone. Especially chomping gum. It is like fingers on a chalkboard to me. What fills your heart with joy? Wisdom. To be honest, much of what I do is way beyond my ability. I can work for hours on a programming problem and just be stuck. I’ll tell my lovely wife and she will alway ask, “Have you prayed for wisdom”? After I do, I usually figure the issue out in a short time. That is the best feeling in the world. At work or at home. To be “stuck” and pray for wisdom and have the solution almost immediately. It is awesome. Guess what? Yesterday was the best run I have ever had. I ran 4 miles at a 7:54 pace and 3 of those miles averaged 7:48. I wasn’t tired. I wasn’t pushing it. It was just great. Now to my question. Why was yesterday so easy when Monday was one of the worst days I’ve had running in a long time? I don’t know. I was using the same shoes. It was a similar day, other than no rain. The only thing I did do differently was eat a piece of plain bread right before I left (something I remember my dad doing before his runs). Surely a few carbs couldn’t have made that much of a difference. Well I guess I won’t question it. 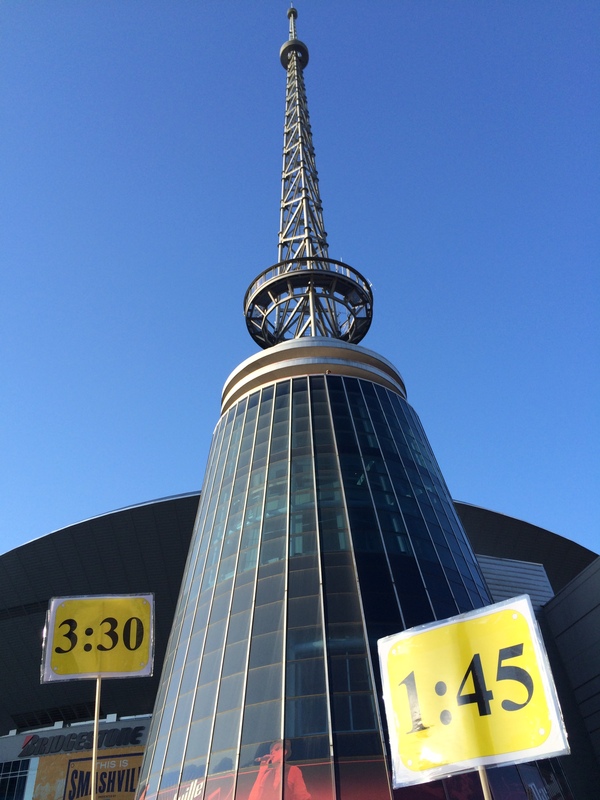 It was supposed to be an easy run for 4 miles since we are tapering for the big day. It was so easy I thought my phone might be wrong. I know some days are better than others and TJ said he has had similar days, but this was about a minute faster than my normal pace about a month ago. On to training for Sunday. TJ said today I should run a minute at half marathon pace and a minute jog and alternate back and forth. That is what he is going to do. It sounds good and I can make my phone tell me when to switch so that won’t be too hard. 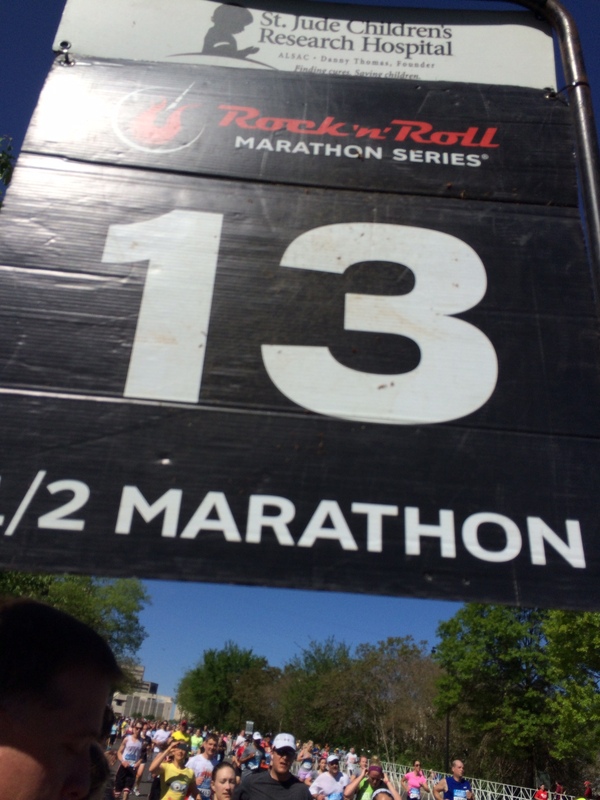 3 more days to the half marathon. 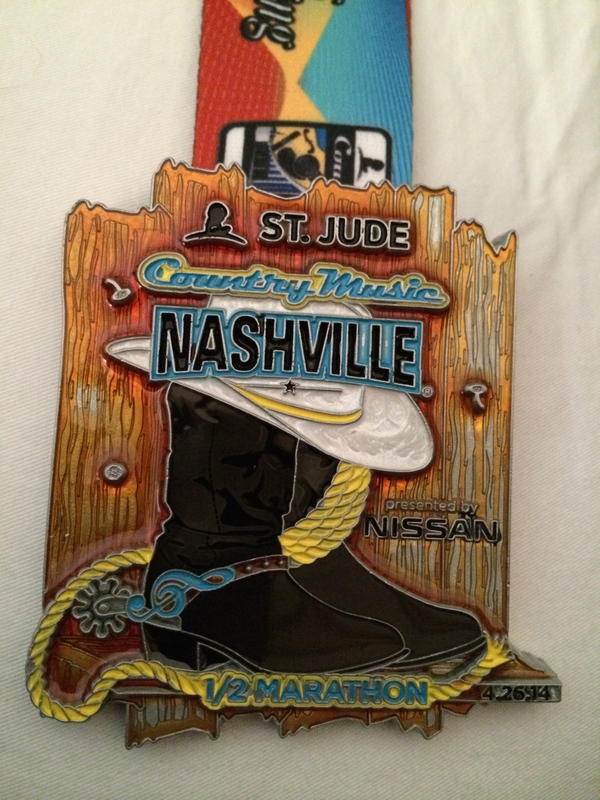 I was talking with a sales rep the other day who has run this race for 4 years now and he said it is very well done. Being my first I didn’t know what to expect. He said they have pacers who will run the half marathon (and the whole) at different paces so, for example, if you want to finish in an hour and 30 minutes, someone is setting that pace. Or if you want to finish in 2 hours, someone is setting that pace, and so on. I guess I’ll start in the two hour group and then try to pull ahead in the last few miles. He also said there is lots of food, beer (9:00 in the morning?) and massages given to runners. I am hoping my lovely wife comes to cheer us on, but I understand it might be a bit difficult for her to sit for 3 hours with a bad back. I’ll understand if she doesn’t go, but it would really be special if she did. That is it for now. This is so exciting, it is like Christmas is 3 days away and I’m an 8 year old kid.